FREE DOWNLOAD AND VIDEO - LES TRICARDS "Martine met ses docs"
The French bagpipes streetpunk/oi! 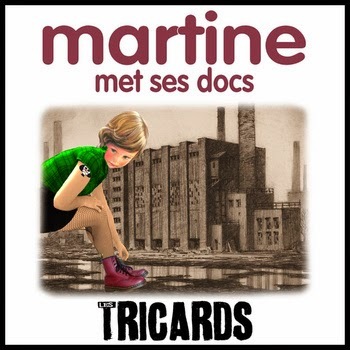 band Les Tricards are back with their third EP, "Martine met ses docs". One of the songs is a La Souris Déglinguée cover, "Jeunes seigneurs". The 2 tracks can be downloaded for free from Bandcamp (Name Your Price). There is also a video for "Martine" available at YouTube.